The arrival of a new year also implies the setting of new challenges in all areas of our lives. Thanks to this discipline, it is also possible to determine with Numerology 2019, personal year 1, according to various aspects or principles, how our year will pass according to the numerical combination also known as Numerological Natal Map. 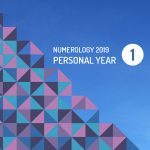 This information referred to in Numerology 2019 is unique for each individual and does not apply to others, regardless of whether we are all in the same Universal Year. Precisely the number 1 is associated with the beginning, the start. Additionally, it is associated with another principle known as Unity. It is also associated with the creative and leadership processes, a characteristic that also contrasts with its other solitary side that always seeks meditation. Thanks to the determination of this number, people with a number 1 are able to achieve great projects and conquests as long as they are patient and consistent. These are not always people with the capacity to demonstrate their feelings and emotions, a situation that can cause their intentions and points of view to be misinterpreted. Behind their appearance lies a pure and noble heart with a desire to be truly loved and understood. Your main challenge is to achieve the necessary stability so that nothing disturbs you. After a 2018 of changes, the numerology of 2019 for personal year number 1 implies a permanent call to action, to make things happen and perfectly. People can pick up projects and undertake any kind of business they want as the roads will always be open for this. The sowing period is over and now you will have to wait for the harvest and enjoy the fruits without this implying the abandonment of work and perseverance. New developments may occur, but they cannot let this separate them from their north so clear goals must be set for the future. It is likely that unforeseen circumstances and situations will arise, difficult moments that will undoubtedly be overcome. So that the process of adapting to changes is not so traumatic, you can rely on those who generate confidence in you and who you consider to be of your full confidence. The overall vision of your whole life will only be achieved when you analyze each stage lived. How 2018 was for number 1? The year 2018 was a period of change and renewal in which goals were set and a conscientious plan had to be made to achieve them. Some went further and even changed partners, professions or places of residence. In conclusion, the energies were altered as a first step to achieve also a change in the exterior. The results were evident at the end of the year only for those who were able to have a broad and joint vision and did not let themselves be carried away by old precepts.